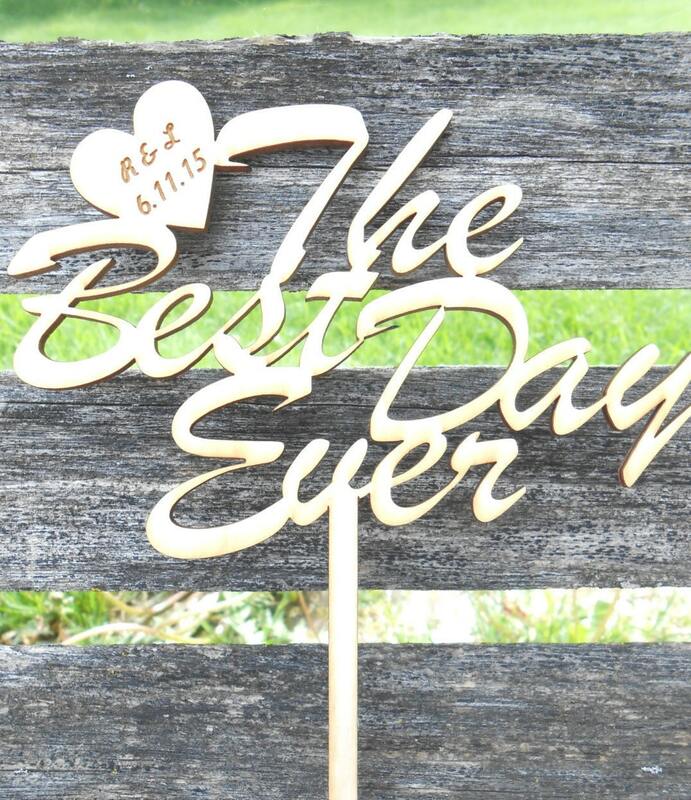 This laser-cut cake topper is perfect for a wedding. 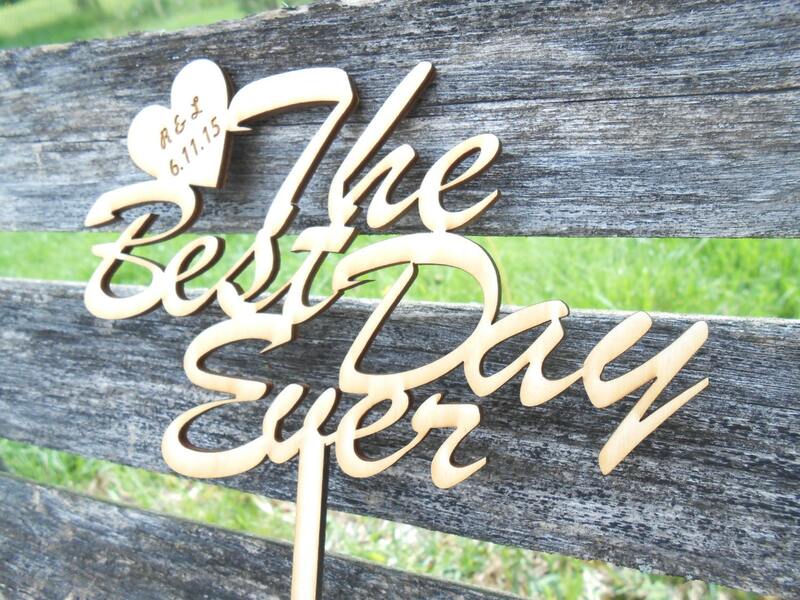 It says "The Best Day Ever" and has a heart in the corner. 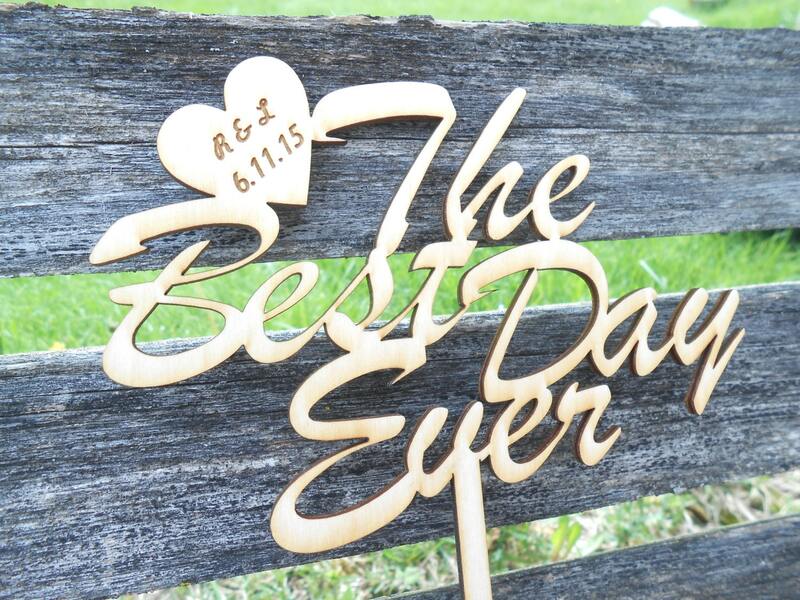 It will be made with YOUR initials and wedding date on it. Or you can choose to have it says something else. Anything is possible! 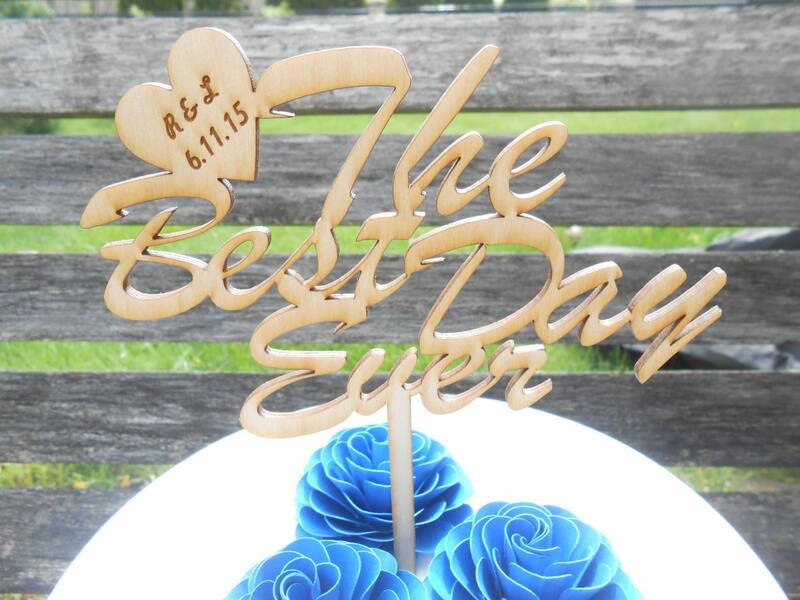 The cake topper measures 6" x 4". It is just over 7" with the stem. 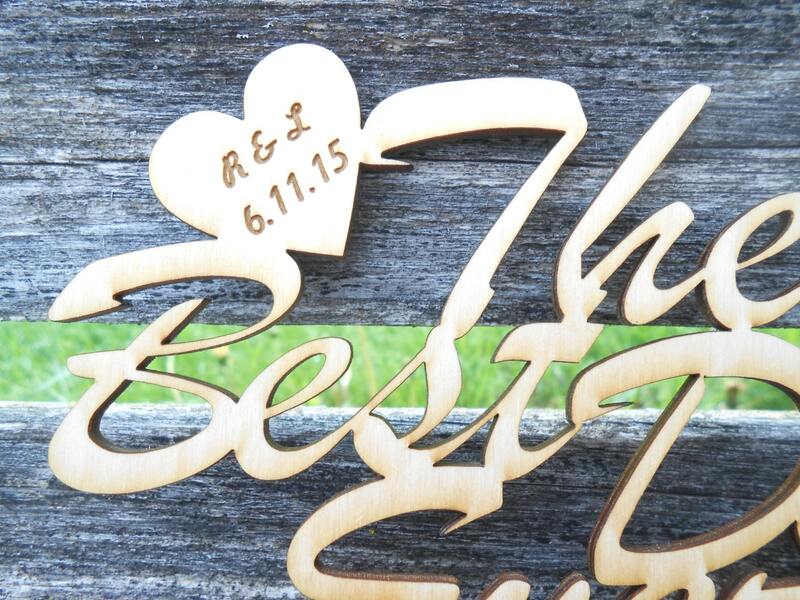 AT CHECKOUT: Please leave me a note with the initials and date you want engraved in the heart. Or whatever else you want it to say. These are perfect for a rustic wedding or shower! They are made from birch and make a wonderful keepsake to hang onto.